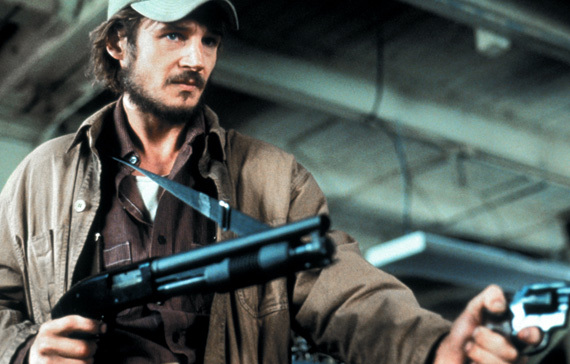 Neeson plays an excellent hero, I’ve been in his corner since I first saw him in 1989’s ‘Next of Kin‘ as Briar Gates. Now we’re looking at a story-line that’s going to be rife with “I didn’t kill my wife” references. Sounds a little like ‘The Fugitive‘, no? Mills is wanting a quiet, normal life with his wife and daughter. His CIA past is behind him and while he did have to jump back into battle-mode in the last two films, this one should leave him in peace, right? Of course not! Where would the story be if that were the case? Neeson’s Mills plays half of a happily married couple while his wife is played by Famke Janssen. Somehow she is found mysteriously dead in their bedroom. Mills is suspect, of course, spouse first. The innocent former agent is looking at suspects of his own, being who he was can mean being on foreign terrorists watch list, always someone that may want to frame him or torture him, somehow. I’m sure he will avenge her death, save his name and be the tortured hero all over again. I’m grateful that Neeson said to the media that this will be his last ‘Taken‘ film. I want him to go back to the stellar dramas that took him to the Academy Awards nominee list for ‘Schindler’s List‘. ‘Kinsey‘ gave him some real stretch as an actor and he performed heavenly, as expected. ‘A Walk Among The Tombstones‘, his latest, is receiving remarkable reviews that show us the Neeson we want. A mystery thriller with a touch of noir is where he will shine brightest. 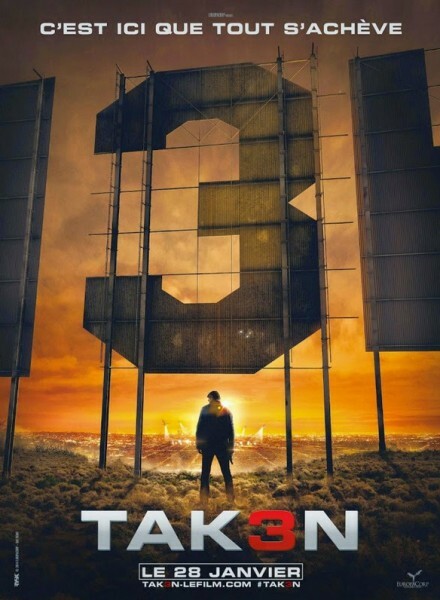 I didn’t come to just rant about the forced action star it seems Neeson has been pushed into, I’m bringing a trailer for ‘Tak3n‘. What do you think? Is 3 going to be wonderful and I’ve been wrong about the whole thing? Or do you agree with me? This entry was posted on Tuesday, September 30th, 2014 at 5:50 pm	and is filed under Film, News. You can follow any responses to this entry through the RSS 2.0 feed. You can skip to the end and leave a response. Pinging is currently not allowed. « ‘Rush Hour’ Is Being Remade as a TV Series! !